The decision by Home Depot cashier to wear a white baseball cap carrying the slogan “America Was Never Great” has caused a social media storm. 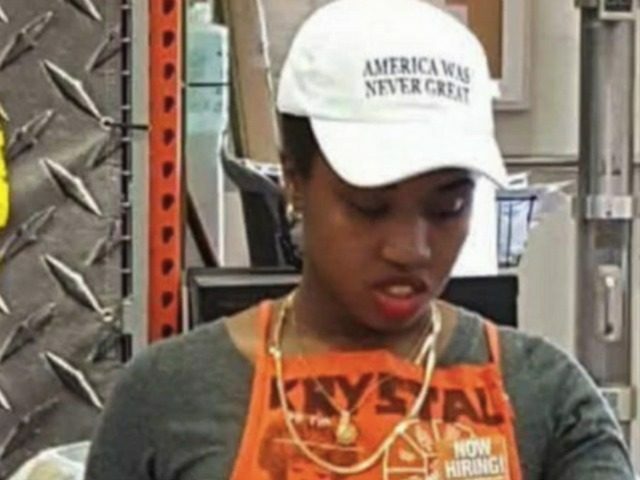 A photo of Staten Island Home Depot employee Krystal Lake wearing the anti-Trump hat went viral Sunday. The reaction from Facebook and Twitter users skewed negative, with some promising to never shop at Home Depot again. To be sure, Lake, 22, admits that wearing the “America Was Never Great” hat was her way of making a broader statement about U.S. history. The lifelong New Yorker said she was surprised when she awoke Wednesday morning to see a tsunami of calls and texts messages from friends and co-workers asking if she had noticed the firestorm her hat had created. “Everyone kept asking me if I was on Facebook or Twitter, which I hadn’t been,” she said, “and then I saw how many people were sharing [the picture] and that it was going viral. “I was honestly shocked — I didn’t expect any of this to happen,” Lake added. Interestingly, Republican presidential candidate and New York real estate mogul Donald Trump won the April 19 primary contest in a landslide, securing over 80% support in Staten Island. For its part, Home Depot didn’t waste time responding to critics on Twitter and Facebook. The Atlanta Georgia-based home improvement retailer called Lake’s hat inappropriate. Agree this isn’t appropriate & we wouldn’t allow it, but the store team didn’t see it. This doesn’t represent HD’s opinion. It is against Home Depot policy for employees to wear apparel that reflects political statements, company spokesman Stephen Holmes said. 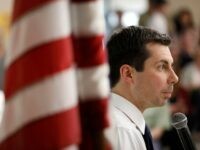 “I’m not going to be specific other than to say that if any associate refuses to follow any of our policies, it can lead to termination,” he added.